Intelligence is a product of evolution, opening the possibility that our nearest relatives - apes and monkeys - are also intelligent. Dr Bryne provides a detailed introduction to the differences and similarities between humans and other primates in their cognitive abilities. "Intelligence" has long been considered to be a feature unique to human beings, giving us the capacity to imagine, to think, to deceive, to make complex connections between cause and effect, to devise elaborate stategies for solving problems. However, like all our other features, intelligence is a product of evolutionary change. Until recently, it was difficult to obtain evidence of this process from the frail testimony of a few bones and stone tools. 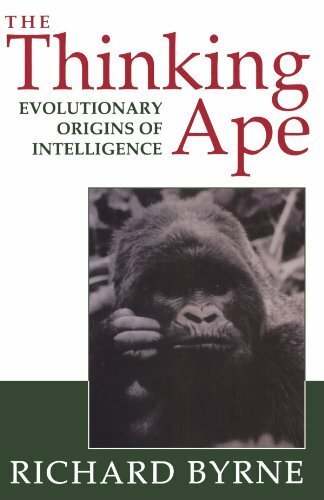 It has become clear in the last 15 years that the origins of human intelligence can be investigated by the comparative study of primates, our closest non-human relatives, giving strong impetus to the case for an "evolutionary psychology", the scientific study of the mind.